Condemning the incident where Youth Congress activists publically butchered a calf in Kerala's Kannur to protest against the Centre's cattle ban, the Congress on 29 may assured that the party is committed to bring people together, adding they will ensure that nobody's sentiments are hurt. "Already a formal statement has been given by the Congress leadership. Let us be clear that this is not the time to further divide people in our country. I think as far as the Congress party is concerned, we are committed to bring people together. 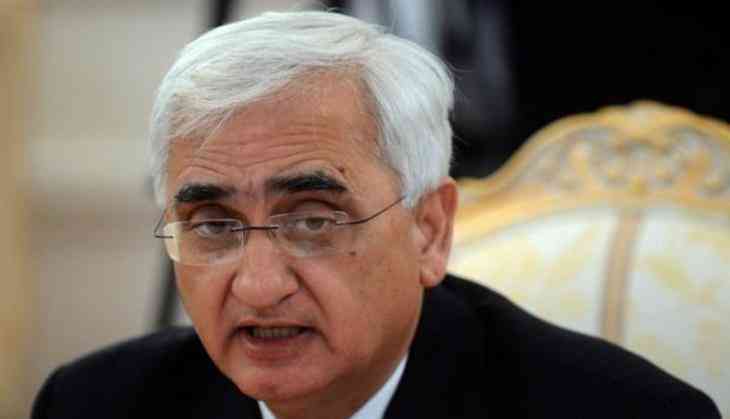 We must ensure that nobody's sentiments are hurt," Congress leader Salman Khurshid told media here. He added that now is the time when all should take a balanced position on the matter, instead of looking for ways to attack. "We have a responsibility to bring people together and for that sometimes you have to be careful, you have to be willing to sacrifice, willing to accommodate and adjust," Khurshid said. Kannur Police on 28 may registered a case against district president of Youth Congress and other Congress workers under Section 120 (A) of the Kerala Police Act, for slaughtering calf in public view. The police filed the case on the basis of a video where the president of Youth Congress, Rigil Pookkutty and other Youth Congress workers could be seen slaughtering the calf. The incident comes amid hue and cry over Centre's new rule prohibiting sale of animals for slaughter or religious sacrifice at livestock markets and animal fairs. Students' Federation of India (SFI) earlier staged a protest in Kerala against the ban by eating beef outside University College, Trivandrum. Similar fest was also organised at different locations across Kerala. The Centre's move also drew flak from various political leaders. The Communist Party of India (Marxist) earlier stated that by issuing this order, the government is imposing greater burdens on farmers. "It is an absurd decision because this prohibition which the Centre has now announced includes buffaloes also. By issuing this order, the Centre is imposing greater burdens on farmers. It is very unfair to India's 'annadaata'," CPI (M) general secretary Sitaram Yechury told ANI. The decision did not go down well with Kerala Finance Minister Thomas Isaac, who termed the move as 'illogical'. Kerala Chief Minister Pinarayi Vijayan said the Centre's decision was surprising which was unsuitable for a democratic nation.